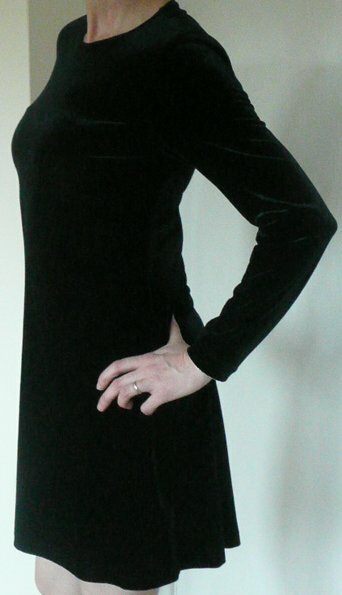 Vintage 1980s stretchy black velvet dress. 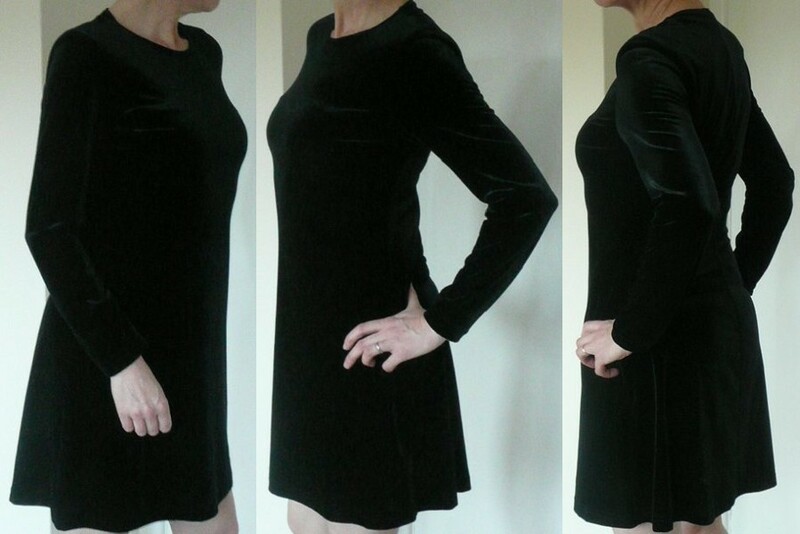 Made from a stretch fabric, it fits where it touches and will really make the most of your curves! 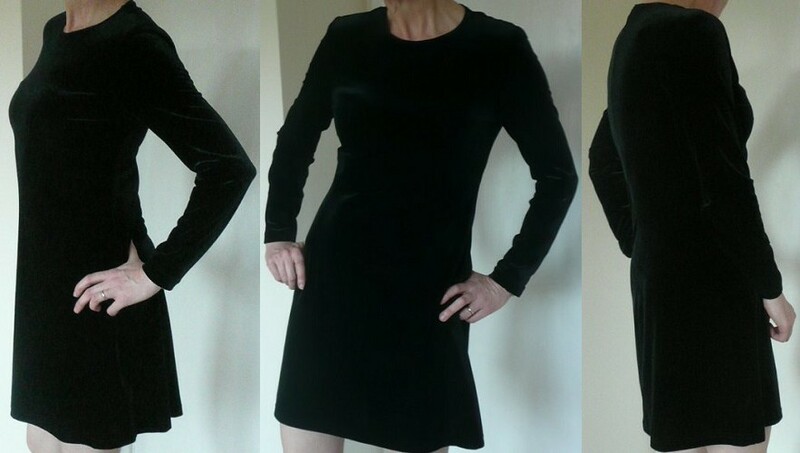 The style is very simple, with a round neck, slightly padded shoulders, long sleeves and flirty skirt - the impact is made by the body inside! 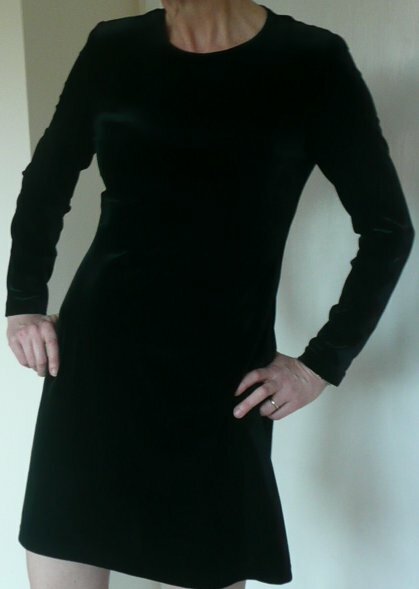 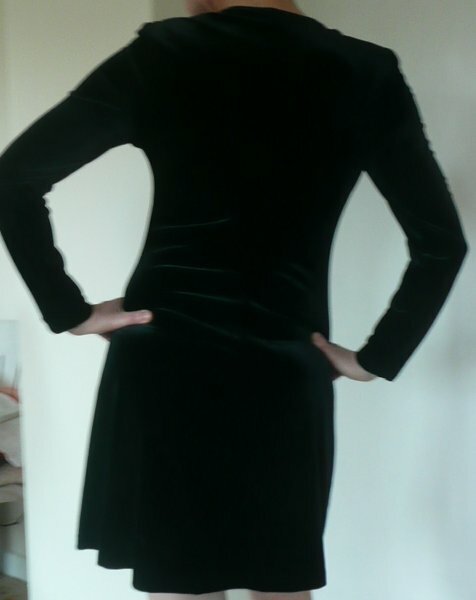 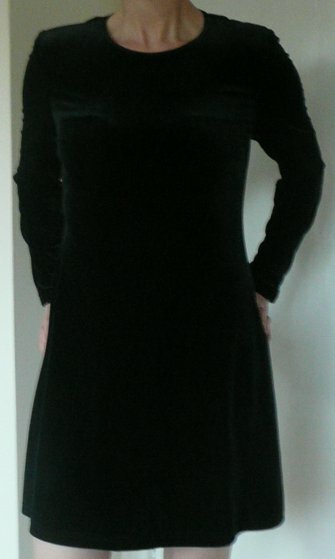 Black velvet is sooo flattering - and this is in lovely condition, too! 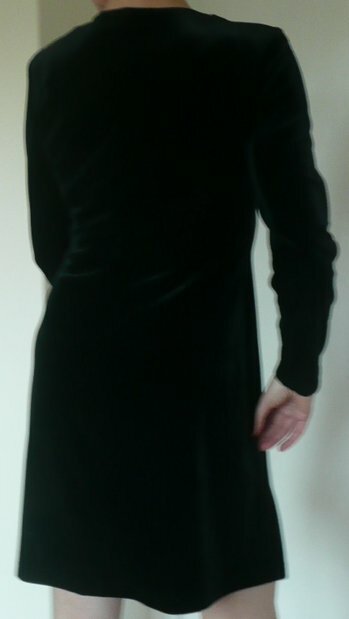 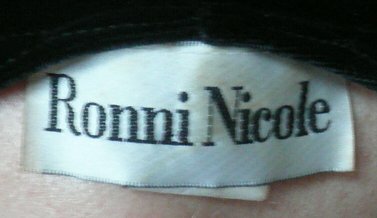 Approximate measurements unstretched are bust 34 ins/ 86.5 cms; waist 30 ins/ 76 cms, hips 38 ins/ 96.5 cms, length from back of neck 35 ½/ 90 cms - our scrawny little model hardly touches the sides!